Aperture card scanning allows you to convert your cards to digital images for improved access and retrieval. DatacomIT provides the most cost effective and efficient conversion service for the scanning and digitisation of aperture cards, microfilm and microfiche. 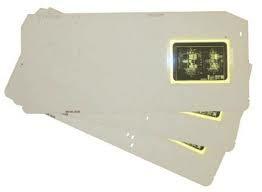 Our high tech equipment allows us to perform aperture card scanning 24 hours a day, 7 days per week. We guarantee the highest quality with rapid turnaround. DatacomIT have the ability to output your completed aperture card images to PDF, TIFF and JPEG. DatacomIT can also provide the completed images in a fully searchable database. With scanning services in Melbourne, Sydney, Canberra, Brisbane, Adelaide and Perth, DatacomIT have the tools and resources available to provide the best aperture card scanning solution. Contact DatacomIT for a no obligation price and sample conversion.